This is the second part of an exclusive behind-the-scenes look at what went into the season for 2018 Damallsvenskan champions Piteå IF. The first part details the beginnings of the journey, including the fast start to the season and the mounting pressure the team faced. In the 65th minute at home to Göteborg FC, Piteå IF are trailing, 1–3. Their hopes of a first Damallsvenskan title are slipping away after goals from Julia Zigiotti-Olme, Olivia Schough, and Elin Rubensson put their rivals in control. Nina Jakobsson scores her second of the game to set up a tense finale with 25 minutes remaining. In the 72nd minute, star of the season Julia Karlenäs equalized to make it 3–3. Five minutes from the end, Karlenäs struck ahead to seal a remarkable comeback and one which, in the end, would prove a massive step to Piteå beating their rivals to the title a few months down the line. 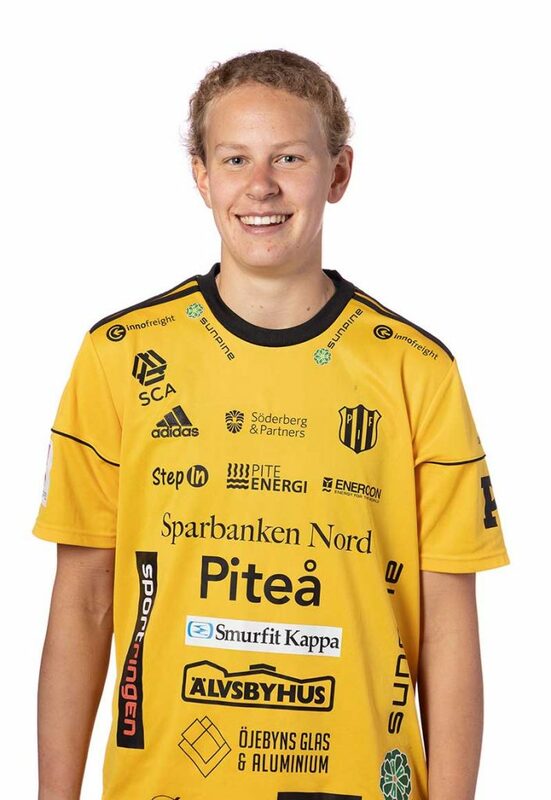 Karlenäs had only set herself a target of five goals at the start of the season and with plenty of games to go, the 24-year-old was already approaching double figures and her goals were proving hugely influential in Piteå’s title charge. Goalkeeper Cajsa Andersson is no stranger to Damallsvenskan success after winning the league twice with Linköping, and both she and defender Emelie Lövgren admit the win against Göteborg gave them huge belief for the remaining nine games of the season. But Piteå stumbled once more, losing their next two games, amazingly once again against Kristianstad and Vittsjö, who had beaten them just before the summer break. Five consecutive wins followed, including a 4–2 victory against Linköping which saw Karlenäs add another two goals to her tally and take her into double figures for the season. A nervy 2–1 win away at Kalmar next up meant Piteå went to title rivals Rosengård knowing a win would seal their first title. Piteå led the way on 45 points, three points clear of Rosengård but with an inferior goal difference. Göteborg sat a point behind Rosengård and Piteå’s two rivals would face each other on the final day. The first part of the drama unfolded in Malmö as nearly 2,000 people watched Anja Mittag’s sole goal for Rosengård ensure the title would go down to the final day in a three-way battle with Göteborg also picking up three points. Nerves had got to Piteå, who now months later can admit they weren’t necessarily prepared for what was expected of them that day in Malmö. 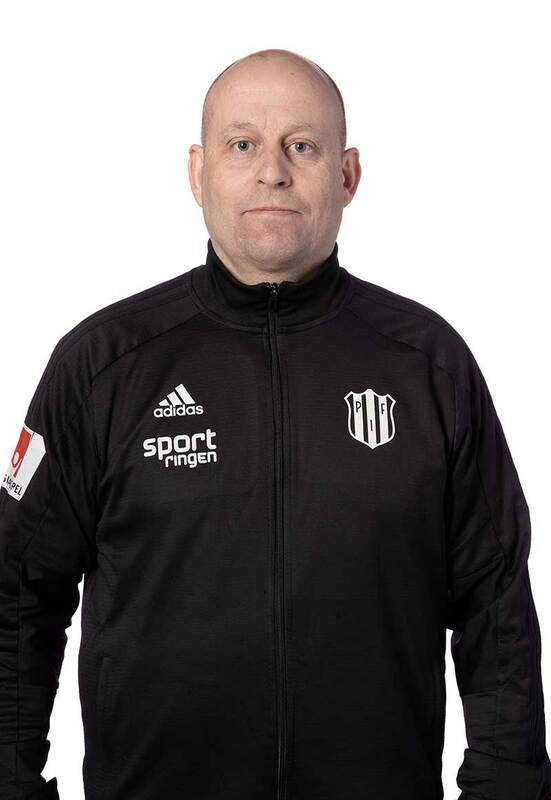 Stellan Carlsson, head coach of Piteå IF (Piteå IF). “We were not ourselves in the first half, we were too tense,” admitted Carlsson. “We had talked about the media pressure and the atmosphere around the players. We knew if we won that game, it was over. Piteå had actually fought back in the second half and played well against Rosengård, but it wasn’t enough to get them a point, let alone three. Carlsson admits he was “angry” they hadn’t played their game but the shackles had been released, the title was no longer in Piteå’s hands after slipping to second on goal difference; the pressure was back on the Swedish giants down south. The Rosengård match had been held on the Monday night with the season finale to come on the following Saturday. A tired Rosengård team, who were in the midst of a Champions League campaign, had to go to Göteborg, who were also trying to win the league and earn a rare spot in Europe. Piteå were at home to lowly Växjö DFF, a game they should win — a game they had to win — and let destiny do the rest. But with players working throughout the week, it wasn’t easy to escape the hype around the situation as the team looked for some way to relax ahead of the biggest game of their lives. “Everyone at work wanted to talk about it,” said Andersson, who works in a chemical factory and educated at the Royal Institute of Technology. 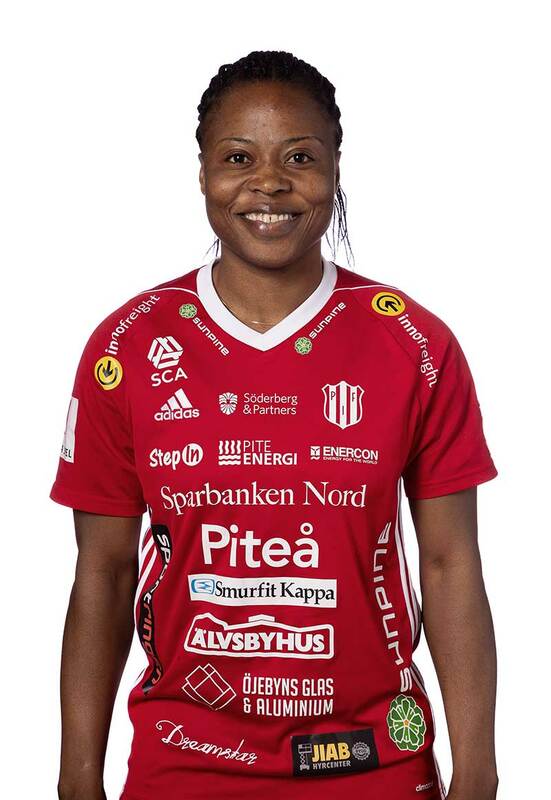 Nigerian international Faith Ikidi works in a local church and her undying faith played a role in her preparation for the title-decider. “Against Rosengård, we were nervous,” she recalled “The journalists, the TV crews, everyone said this was the game that would determine the winner. Personal trainer Lövgren admits the pressure was now off. Even a win might not secure them the title but they were relying on a favor from Göteborg in order to win the league. “I just felt football-wise the pressure was a little bit off,” she said. “We felt we’d blown it a little bit so we just wanted to end the season on a high with a good performance. I’ve ended seasons on a bad performance and it’s the worst feeling to end on bad terms. “The result didn’t matter, we just had to do a good game. At work, people were always asking about it and I think that got to us a little bit. You’re bumping into people all the time, walking around town, in the supermarket, everyone wants to talk to you about it. Carlsson had the tough task of keeping his side not only fresh after playing on the Monday night, but calm. The fact Göteborg and Rosengård were playing each other meant a win would at least guarantee them Champions League football for the first time. On one of the evenings he managed to get his team together around their work commitments, he showed them a clip of the final day of the English football league in 1989, when a last-minute Michael Thomas goal for Arsenal took the title away from opponents and title rivals Liverpool in dramatic fashion, a moment still remembered in England 30 years on. While the title could have already been won and it might still slip away, it seems the defeat to their nearest rivals had in fact helped Piteå prepare for their day with destiny. “We got everything out of us,” said Karlenäs. “We weren’t scared and we believed we could win, we knew Rosengård had a tough game. Piteå led 2–1 at halftime. Two goals from Madelen Janogy put them in control but a goal just before halftime from Anne Anvegard ensured a nervy second half, for a while. But elsewhere, Göteborg were beating Rosengård 2–0 and barring a huge turnaround, Piteå suddenly found themselves on the verge of glory. Not every player wanted to know what was going on, but Karlenäs was one of those keeping a close eye on proceedings. Just seven minutes into the second half and Rosengård had scored two goals to make it 2–2, leaving the title in the balance. A goal for them would take the title away from Piteå, a goal for Göteborg would leave Rosengård without even so much as Champions League football. Piteå saw out their game with ease. Four more goals saw the game end 6–1, and with the fear of an impending pitch invasion from the 3,778 supporters crammed into the LF Arena, the referee ended the game on 90 minutes, meaning Piteå had finished before their rivals. Andersson, Lövgren, and Ikidi were three of the players who didn’t want to know the score, but when Rosengård went all-out attack and Göteborg scored a third in the 90th minute, the noise from their supporters said it all. Andersson added, “I didn’t know the result. I know other players knew but it felt good for me to not know. The crowd started to cheer a lot, they were chanting we were the champions so I understood Göteborg were leading but I didn’t know the score. We gathered in a circle in the center of the pitch and somebody said it was 4–2, it just went crazy. “It was kind of confusing, nobody had a phone, I don’t understand why nobody had a phone!” she laughed. With Rosengård demoralized, Göteborg added a fourth on 96 minutes and it was all over. Piteå IF, a town of 23,000 people and a team full of part-time footballers had shocked not only Sweden, but the rest of Europe. 2019 Piteå IF squad (Piteå IF). As surreal as the occasion was, the players didn’t have much time to either celebrate nor dwell on their achievements. Karlenäs, who added to her goal tally on the final and took most of the acclaim for her performances throughout the season, admits it’s “hard” to juggle work and football as the club remains part-time for the 2019 season, which gets underway with a home game against Djurgården this weekend. Andersson, who is now searching for a fourth straight domestic title, also wonders what could be achieved if the club moved into full-time operations. “If we could work full-time it would be better because there’s so much more you want to do,” she said. “You want to work more on your strength, your analysis; you can’t watch the games together with your team, you just don’t have the time or energy. The players get all the support they need from both their employers and the club in order to juggle commitments with Piteå with their work outside of football. 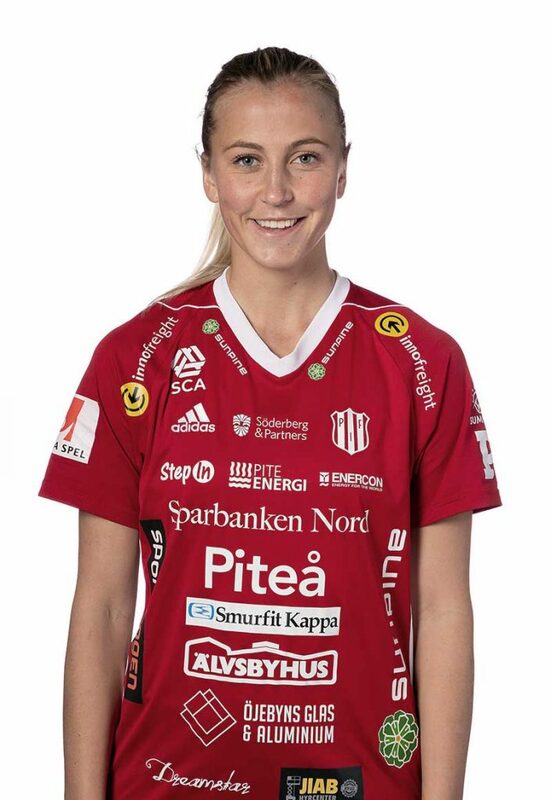 Elsewhere in the squad, Lena Blomqvist works as a clerk at another club in the local community, Josefin Johansson, the captain, is a hairdresser, a former national team player, and had a baby in August last year, meaning she missed the whole campaign. Madelen Janogy works in the same bank as her teammate Karlenäs and all will continue to do so in 2019, but the absence of their captain makes their feat even more impressive. For Carlsson, he’s the man who takes most of the plaudits for the team’s achievements. From missing most of preseason, he led them to an unprecedented title when you take into account the commitment needed from his players, and now he’s aiming for more. “We work together very hard with the sporting director and the board and the players’ employers so everyone gets the best situation for the players. We’d like to have them full-time but that’s the situation and it’s up to us to try and make the best of it and give them the best life they possibly can have. Carlsson, though, has managed to keep hold of his key players. Despite being part-time and now getting recognition from around the world, as well as caps for their national teams, the likes of Karlenäs, Ikidi, Andersson, and Lövgren will line up for Piteå again in 2019. Karlenäs and Andersson’s performances ensured they both made their Sweden debuts thanks to their success. Karlenäs last year and Andersson earned her first start at the beginning of this year, while Janogy also made her Sweden debut. All three could now go to the World Cup this summer to cap off a sensational 18 months, but none of them have yet to really take in what they’ve achieved. Andersson added, “Nobody expected us to win, like nobody, not even ourselves. We hoped, but it was more maybe about coming second and the Champions League. Ikidi has had the least recovery of all. Immediately after the league campaign ended she was on a plane to Africa to represent Nigeria in the Africa Cup of Nations in the hope of securing a World Cup spot, which Nigeria did with a win against South Africa in the final. A further international tournament in China means as of new year she hasn’t even returned to Piteå and her church yet. “I’m just grateful to God. As a player I want to achieve, the rest will come. I received a lot of nice messages. My pastor tells me everything I need in this world is from God. I want to win, I have to have that mentality, even if we lose we should give thanks. I look in the mirror and think, ‘Why are you feeling bad? Be happy.’ Look to the next one, don’t let the devil take charge of you. Carlsson is already planning for the future. When the team returned to the training ground days after winning the title, their schedule for the whole of 2019 through to November was sitting in their seats. This season will be harder than ever as Piteå look to go further than anyone believed they could, but Carlsson’s not someone to throw in the towel. “As a coach, you feel so proud. It’s great for the team, we’ve had Cajsa, Madelen, and Julia making their debuts and when they came back it was so nice to see the players acknowledge them and be happy for them.